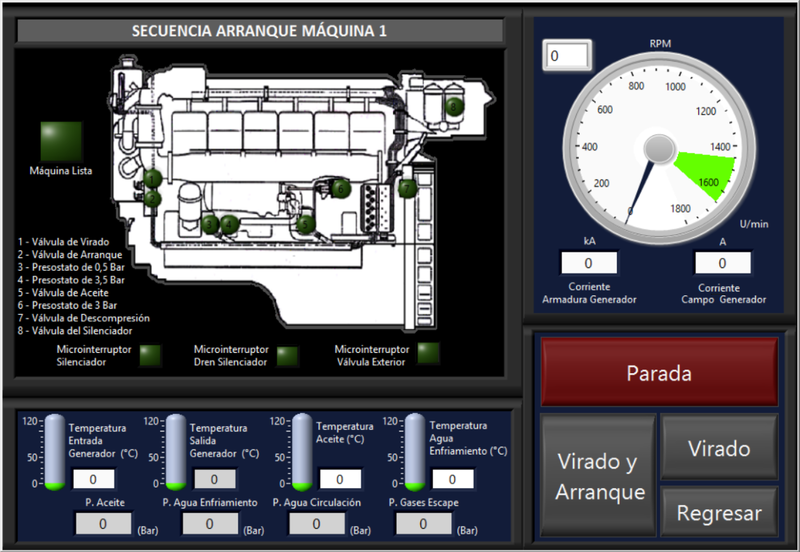 The System allows the monitoring and control of Diesel Engines for different types of ships, through the execution of maneuvering processes. 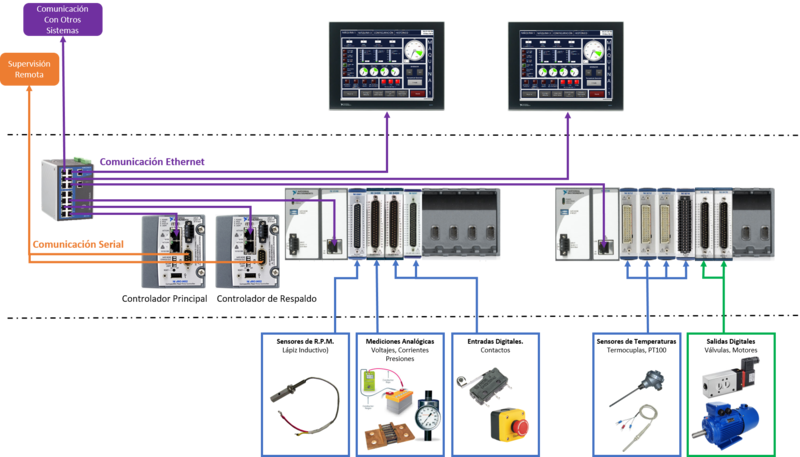 The processes are managed in real time using state of the art Programmable Automation Controllers (PAC), which guarantees the execution of deterministic applications, that give a high reliability to the system. 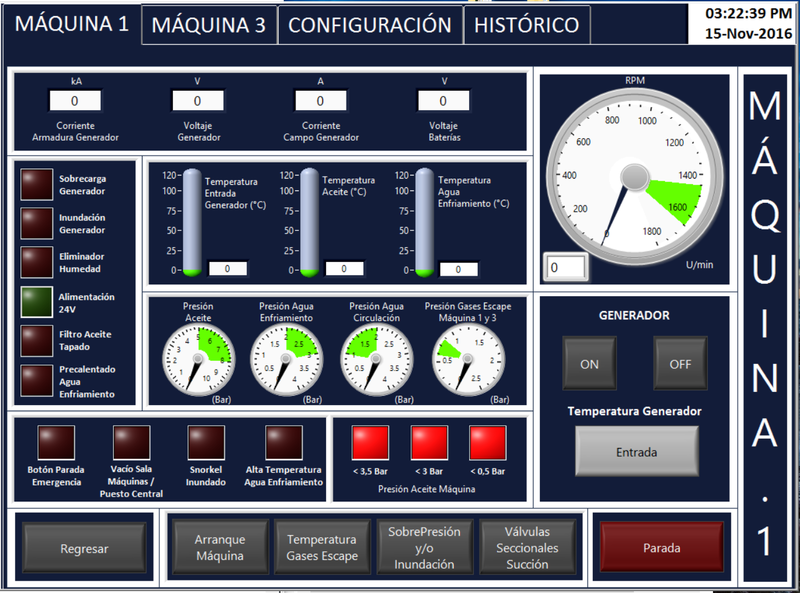 In order to notify the operator about any eventualities or status of the process variables, the system has touch screen panels where the information is presented graphically, as well as analog indicators where can be monitored the variables needed in case of a fully manual operation. 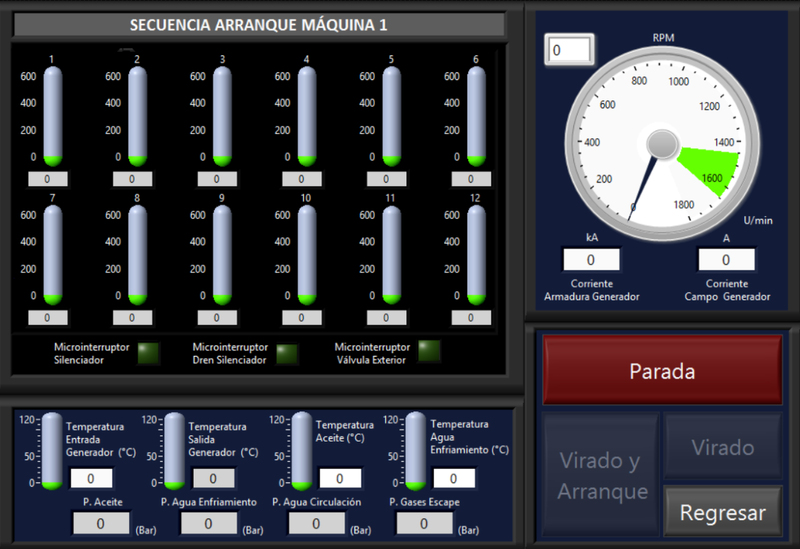 This System can be integrated with other equipment onboard, to exchange data between different intruments, which allows to optimize the integral management of the information. 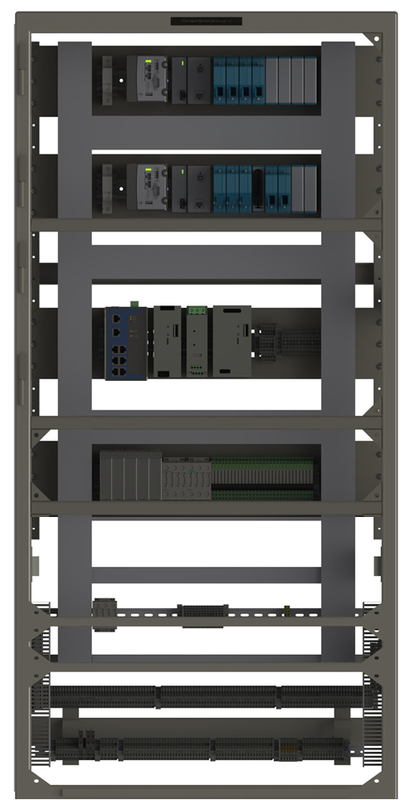 The components used in the system are commercial (COTS), which guarantees a high level of availability and maintainability. 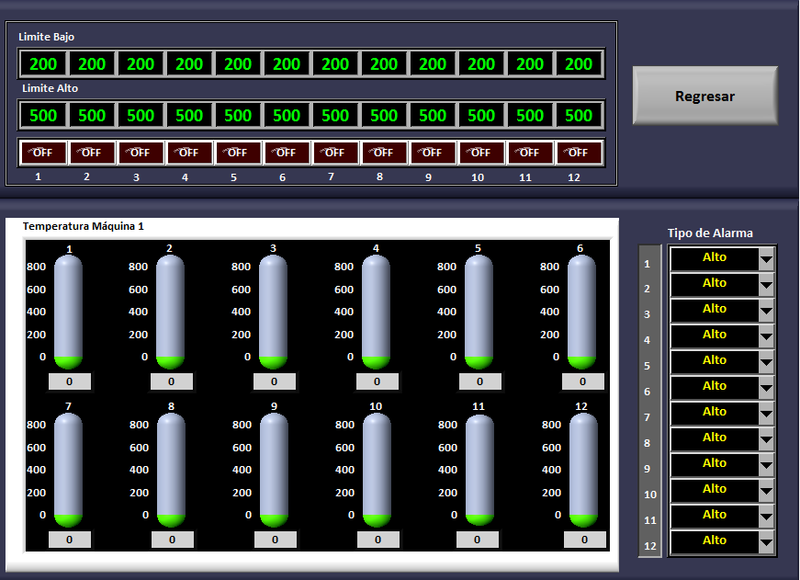 Human machine interface: Touch screen between 15" and 19"
Configurable: allowing the monitoring and control analog variables as well as digital signals from various equipment. Please enter your information below and a representative from Alternativas Informaticas Alterinfo C.A will contact you.